Want a photo record of your life, but want to actually enjoy your life instead of taking pictures? 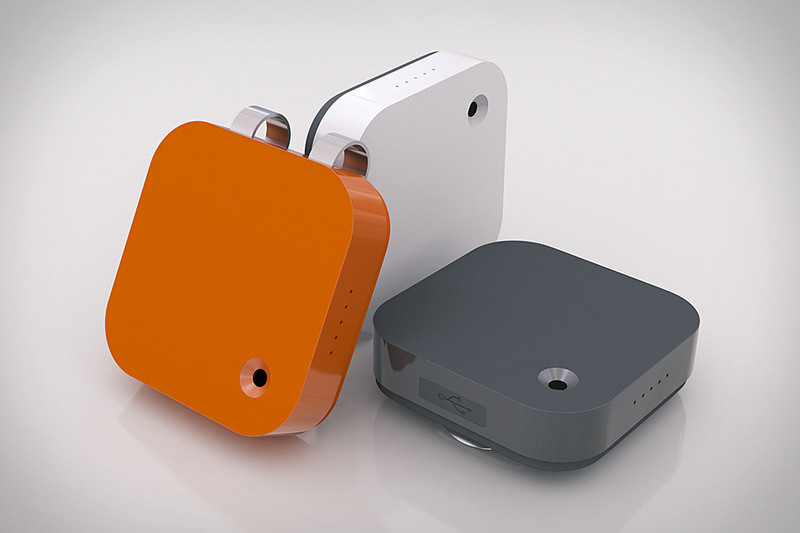 Meet the Memoto Lifelogging Camera ($250). This roughly inch and a half square box clips onto your clothes using a sturdy stainless steel clip, and shoots one 5 megapixel, geotagged photo every 30 seconds, storing it on built-in memory that holds up to 4,000 pictures. A built-in accelerometer keeps it from nabbing shots of your desk or nightstand when you take it off, and when you plug it in all your photos are automatically uploaded and securely stored on Memoto's cloud servers for easy viewing via app or browser. When Nikon's first 1 series cameras launched, they looked nice enough, but there also wasn't a ton of differentiation between them. That ends with the Nikon 1 V2 Camera ($900). Sporting a completely redesigned body, the V2 features a 14.2-megapixel sensor, an ergonomic grip, a new Command Mode Dial, a built-in flash, up to 15 fps still shooting thanks to the new Expeed 3A image processing engine, and 1080p video recording. Just remember: it's what the results look like, not the camera that took them. Want the best action camera yet? You're looking at it. The new GoPro Hero 3 ($200-$400) continues the legendary line with three new models. While the base White Edition — 5MP still capture with 3 fps burst, 30fps 1080p video — and mid-range Silver — 11MP stills with 10 fps burst — are nice, the really exciting one is the Black Edition. While it's not actually black, it does offer the ability to record 4K footage — albeit at a paltry 15 fps — 60 fps 1080p recording, 120 fps at 720p quality, 12MP stills with 30 fps burst, and pro-level low-light performance. In addition, all three models come with a waterproof housing and offer built-in Wi-Fi and compatibility with the GoPro App — but only the Black Edition includes a dedicated Wi-Fi remote. Wouldn't it be great if you had a photographer following you around, documenting key moments in your life without ever noticing he/she was there? The Autographer ($450) is designed to do something similar. Meant to be worn, it features a host of sensors — a GPS, accelerometer, thermometer, and motion detector among them — that work together to decide when it's time to take a picture. 8GB of internal storage ensures that you won't be needing to offload your 5 megapixel memories too often, but just because you don't need to doesn't mean you won't — it's got built-in Bluetooth so you can check out your shots instantly, no wires required. Micro Four Thirds cameras take another step towards the big boys with the Panasonic Lumix GH3 Camera ($1,300). Panny's new flagship packs a host of high-end features into its relatively compact splash- and dust-proof body, including a new, 16 megapixel sensor with a standard ISO up to 12,800, a new contrast AF system, built-in Wi-Fi, a tiltable 3-inch touchscreen, an electronic OLED viewfinder, and 6 fps burst shooting. Most exciting for videographers will be the new ability to record 1080p video at a bit rate of up to 72Mbps, providing an astonishing level of detail. Not content with simply recording video of your adventures? The Contour+2 Camera ($400) has your back. In addition to 1080p video recording, it features built-in GPS for adding overlays with speed, elevation, and distance, Bluetooth for previewing your shot from your smarpthone, a locking instant on-record switch, slow-motion recording of 120 fps in 480p, and an included waterproof case. Creating compelling content? That's up to you.